The late Patrick Whitefield’s first book Permaculture In a Nutshell was published back in 1993. At that time there was very little literature available about this innovative new way of creating human habitats by working with nature’s patterns, particularly for those of us that lived in the UK rather than hotter or drier climates. Two decades on things have changed significantly, not least through the publication of his own ‘magnum opus’ The Earth Care Manual, now widely acknowledged as the standard reference for Cool Temperate permaculture design. 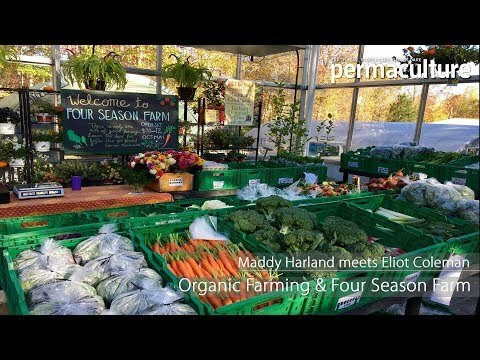 In fact we are now at a place where the wealth of permaculture books, websites, blogs, videos and case studies can be rather overwhelming and intimidating, particularly for those who don’t have lots of land and prefer to focus on simply making their own household garden more ecologically sustainable with the least amount of fuss. It’s fitting then that Patrick’s latest book, published posthumously, is very much a back to basics guide, collecting a wealth of information, ideas and advice on creating a low maintenance productive backyard. The minimal amount of permaculture ‘theory’ is covered in Patrick’s own accessable and conversational style, I can almost hear his much missed voice speaking from the pages as he concisely explains what makes natural ecosystems work: the network of beneficial relationships between their components, plant, animal and non-living. Patrick was very much a pioneer of UK Permaculture, a man who would question and adapt the ‘received wisdom’ of books and techniques appropriate to other parts of the world, modifying these to what would work in our own wet and windy climate with its particular challenges of seasonal droughts, waterloggings and abundant slugs. The Minimalist Garden is very much about his actual experience, a compendium based on his own garden as well as others he designed, sharing his experiences and insights on both what works, what doesn’t, and what is actually achievable for real people with busy lives and many commitments. Punctuated throughout by beautiful photographs of example gardens (I particularly love the opening ‘before and after’ shots of Maddy and Tim Harland’s Hampshire garden transformed from boring monoculture to thriving polyculture), the book is brim full of practical advice and tips on design considerations, choosing plants and creating edible ‘guilds’, productive vegetable crops, harvesting water, creating stone walls and raised beds, growing and pruning fruit trees, controlling ‘pests’ and much more, with the ulimate aim of creating a garden that is to be enjoyed and lived in as much as it is productive. Of course, permaculture design is more than just creating low maintenance edible landscapes, and Patrick wraps up the book with a few examples of permaculture applied to minimising our ecological impacts in areas such as buying food, transport and housing, as well as stressing the value of that most wonderful of resources, other people. As such minimalist gardening acts as a gentle ‘gateway portal’ into the wider realm of regenerative design, one of the most positive and empowering things we can do to help the planet and each other. A fitting tribute to a very special man.